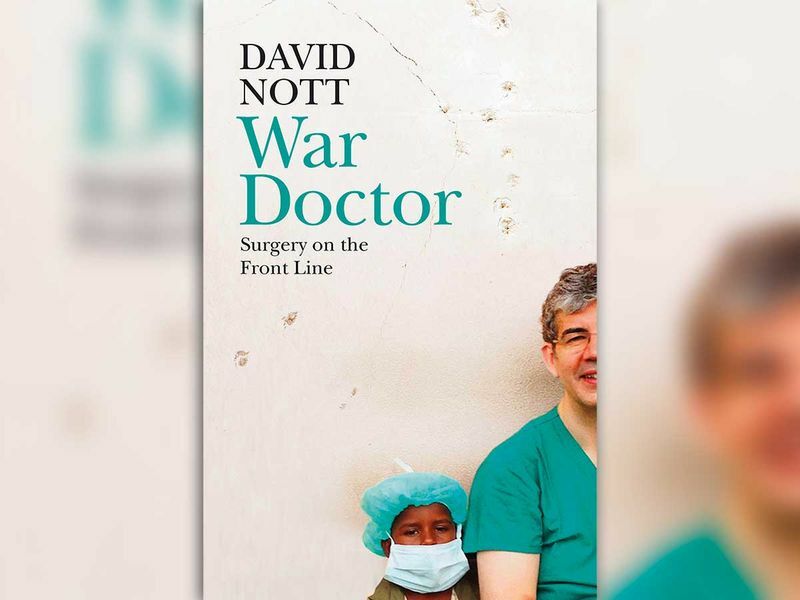 In late 1993, the surgeon David Nott travelled from his home in London to a hospital in war-torn Sarajevo on his first humanitarian mission. Two weeks into the trip, a teenage boy was brought in with a metal fragment in his abdomen, sustained from one of the mortars that had been raining down on the city for days. He was anaesthetised and taken to an operating theatre where Nott set about opening his abdomen to inspect the damage. After making the incision, he heard an enormous crash and the lights went out. The hospital had taken a direct hit, leaving him in the dark trying to stem the bleeding by squeezing the boy’s aorta while pressing down on a swab. When the lights eventually flickered back on, Nott realised he was all alone. The rest of the team — an anaesthetist, a scrub nurse and an assistant — had fled the room and taken cover in the basement. The boy, meanwhile, had died. We follow his subsequent travels to conflict and disaster zones in Afghanistan, Libya, Sierra Leone, Liberia, Iraq, Haiti, Syria and Gaza. We find him operating in buildings shattered by shelling and gunfire, in mobile hospitals, on one occasion outdoors on a concrete slab in full view of passers-by. Equipment is invariably rudimentary, the staff often (though not always) untrained, and blood and medicine in short supply. Day in, day out — and often at risk of imprisonment or execution from terrorists who regard westerners as political capital — Nott deals with the human cost of modern warfare, with its mortars, barrel bombs and sniper fire. Among the more depressing trends in today’s conflicts is the direct targeting of hospitals and their staff — “To bomb and destroy hospitals is not just sinful,” he says, “it is evil.” Nott is unsparing in his descriptions of civilian injuries — the Haitian baby pulled out of a collapsed building with a crushed arm and a section of her skull missing; the pregnant woman deliberately shot in the stomach by sniper in Aleppo, the bullet coming to rest in her unborn child’s head. All make for astonishing and distressing reading. It’s no wonder that there are times when Nott, a man accustomed to such scenes, breaks down and cries. Yet amid the chaos and trauma, he is still able to admire a beautiful sky, an elegant piece of architecture or the sounds of the early morning prayer emanating from a nearby mosque. From these stolen moments we get rare snapshots of Nott’s interior life. While this is far from a straightforward memoir — his childhood plus his years of medical training speed by in a single chapter — we nonetheless get a vivid sense of his energy, his determination and his desperate, howling rage at the cruelty that humans wreak on one another. There are glimpses, too, of the personal cost of Nott’s humanitarian work. Back in the UK after six weeks in Aleppo, he mournfully notes that in London “I might save one person’s life a month, whereas in Syria it had been ten a day.” Nott’s private life at the time was virtually non-existent; after each trip he returned to an empty, spartanly furnished flat. With both his parents dead, and no girlfriend, he notes: “There was no one I particularly wanted to be with.” But this changes when he meets Elly, an analyst at the Institute of Strategic Studies, whom he later marries. They have two children, and Nott gradually scales back his overseas odysseys. His current contentment makes for a heart-warming coda to the decades spent amid biblical suffering and horror. If a film about his life isn’t already in development, someone’s missing a trick.